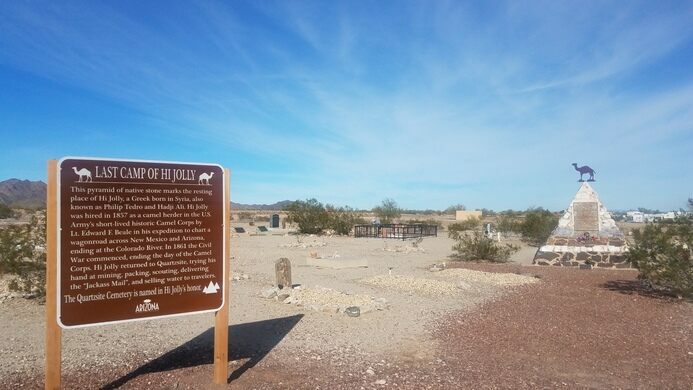 During the mid-1800’s when much of the southwest of America was still uninhabited desert, the government decided they would deal with the terrain like the desert dwellers of the Middle East and hire camel drivers, such as Hi Jolly, to carry their goods across the arid terrain. 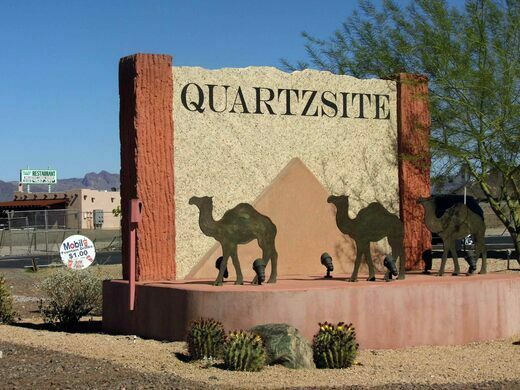 A classic Route 66 landmark that was built with scrap lumber and is held together with kitsch and puns. Born in Syria as Philip Tedro to a set of Greek parents, Jolly would not get his Americanized name for many years. 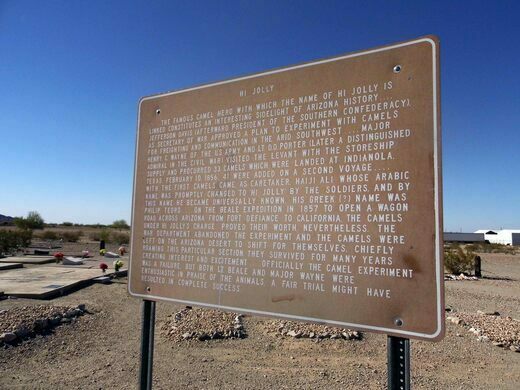 As an adult Jolly converted to Islam and made the pilgrimage to Mecca, taking the name Hadji Ali. 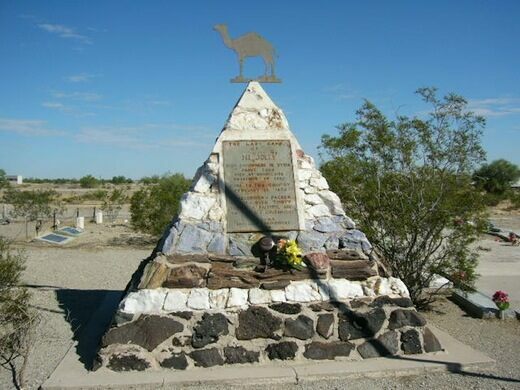 It was after this conversion that the U.S. Calvary forces contracted Jolly to become one of their first riders in the experimental Army Camel Corps. When Jolly came to the states, his name was butchered and confused into “Hi Jolly,” the name by which he would forever be remembered. While serving with the camel corps, Jolly stood out from the rest of the riders for both his ambition and his cantankerous attitude. So feisty was Jolly that he is said to have driven a camel-drawn carriage right through a picnic he was not invited to. 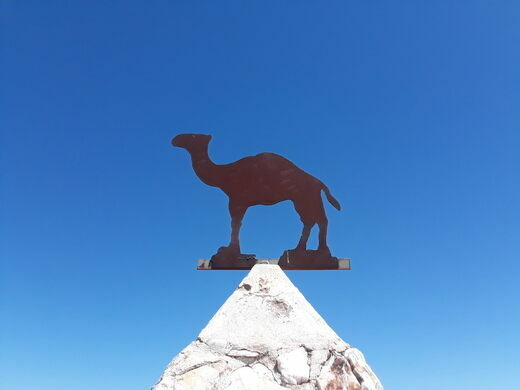 Eventually the camel corps was disbanded after it was found that the much larger camels spooked the native livestock and horses. 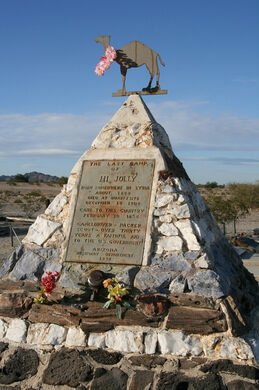 Jolly however went on to pursue a number of careers in the states before passing away in Arizona in 1902. 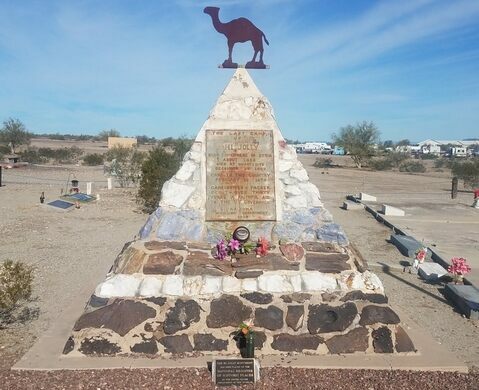 Today his grave is marked by a stony pyramid that is topped by an etched metal camel. 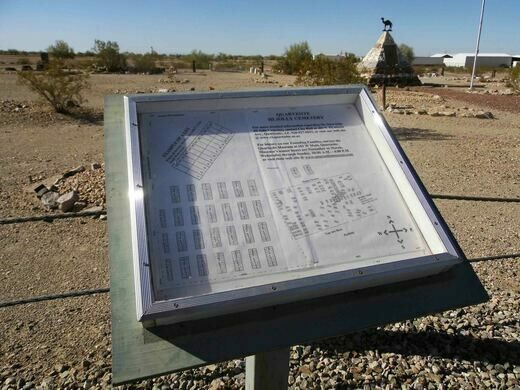 The stone-covered graves lie within the ruins of an Old West ghost town. Ancient human, animal, and geometric figures drawn in the earth. 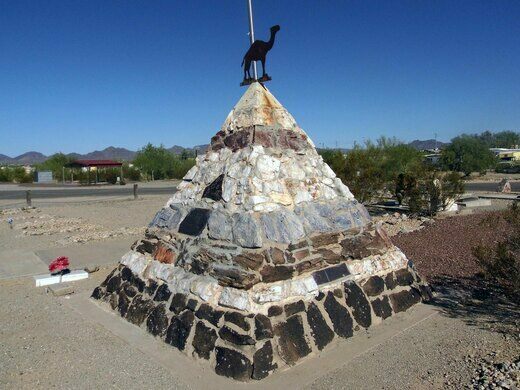 The final resting place of the camel who served with the Confederate Army during the Civil War.